Six members of the same family have appeared in court along with others charged with almost 200 counts of animal cruelty. Samuel and Cathy Kirkwood, from Parkgate Crescent, east Belfast, appeared with their sons: Chris, Ryan, Wayne and Gary, from Island Street. Two other men also face charges. They are Daniel Scott from Tower Court and Jamie Morrow from McAllister Court, Belfast. The charges follows a police operation at the Kirkwoods' home and other addresses in November. A number of dogs were taken away by the USPCA in the operation. Officers also removed equipment, mobile phones and computers from the house and an adjoining yard. 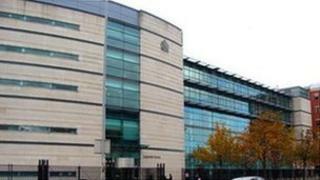 On Thursday, the defendants faced a range of charges at Belfast Magistrates Court, including causing unnecessary suffering to animals, attending animal fights, having equipment to be used in animal fights, photographing and video recording animal fights and disturbing a badger sett. Questioned by a defence solicitor, a detective constable confirmed that some of the dogs seized have since been destroyed but she said an expert had confirmed they were the same animals seen on seized video footage of fights.